Hotwork conducted its first refractory dryouts on alumina calciners in the 1970’s. Since then, Hotwork has helped to commission new calciners all over the world. 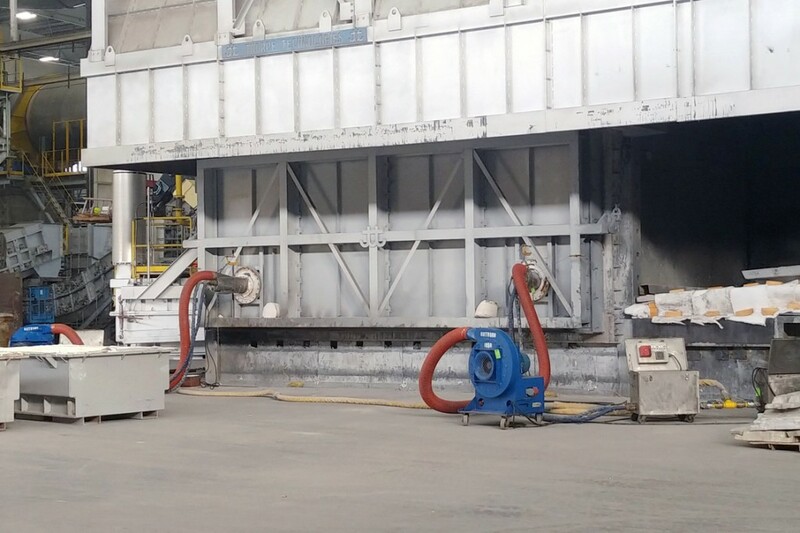 Modern fluid bed calciners are a complex refractory dryout challenge with tons of castable refractory in multiple vessels and ducts, often with limited access points for burner deployment. Hotwork has refined and improved the practices necessary to successfully dryout these complex structures. Aluminum melting and holding furnaces are typically lined with very thick, multilayer castable refractories. Because these materials contain large volumes of water, explosive spalling can occur if the lining is not properly dried out before being placed into service. The Hotwork burner system was designed and developed specifically for this type of challenge.